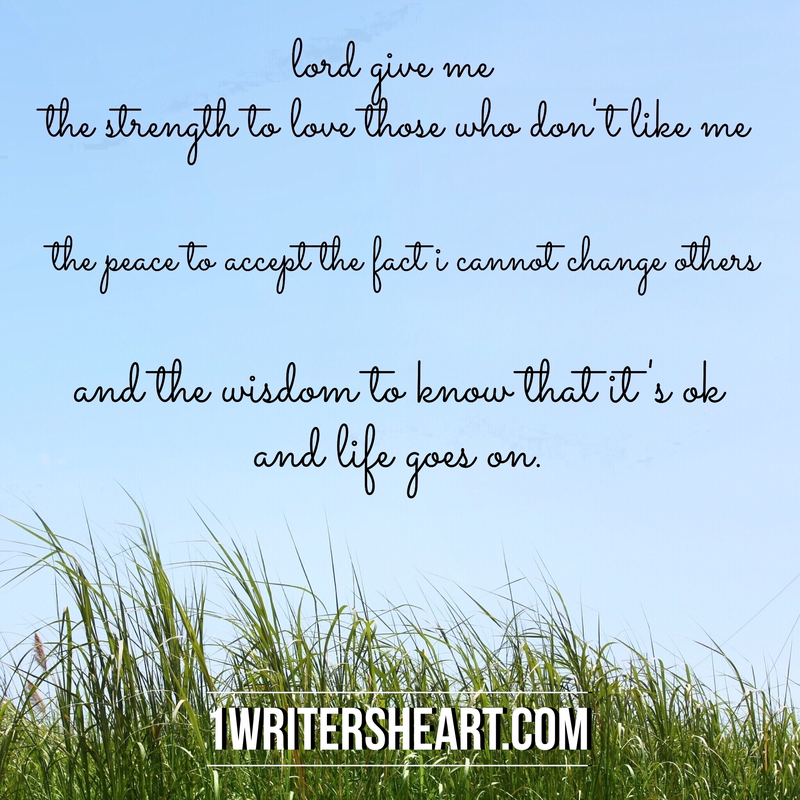 Sometimes we have to say our own version of the serenity prayer. Lovely version of a favorite prayer. God bless you.